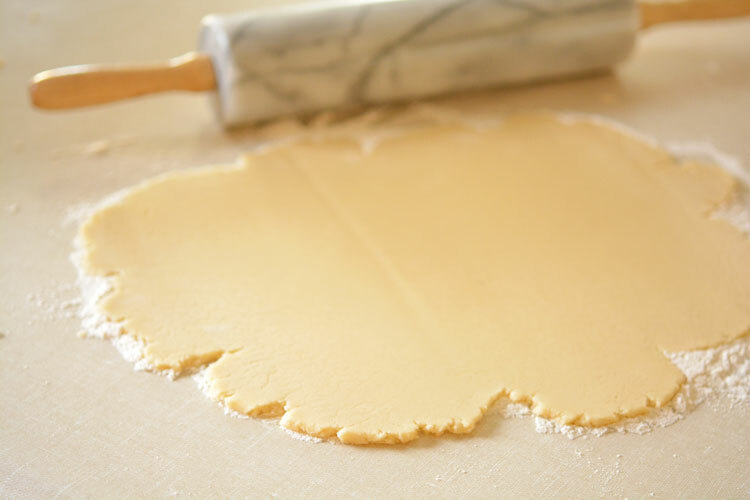 When it’s all mixed in, wet your hands and knead it by hand until it has a good dough consistency. 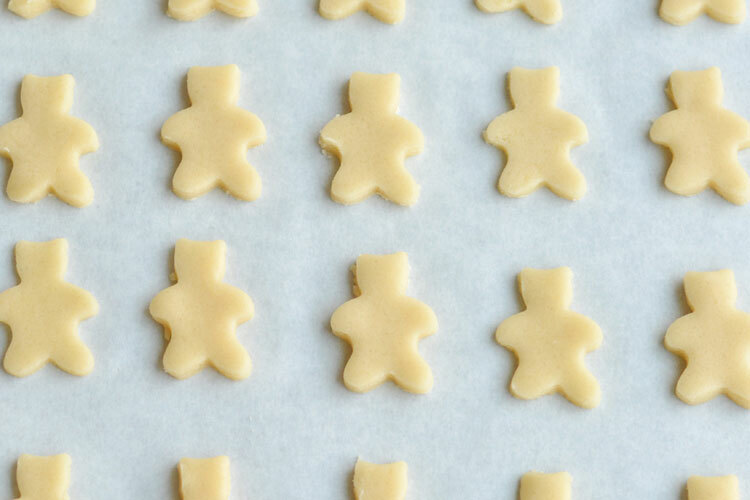 You’ll really only need half of the dough in this recipe. 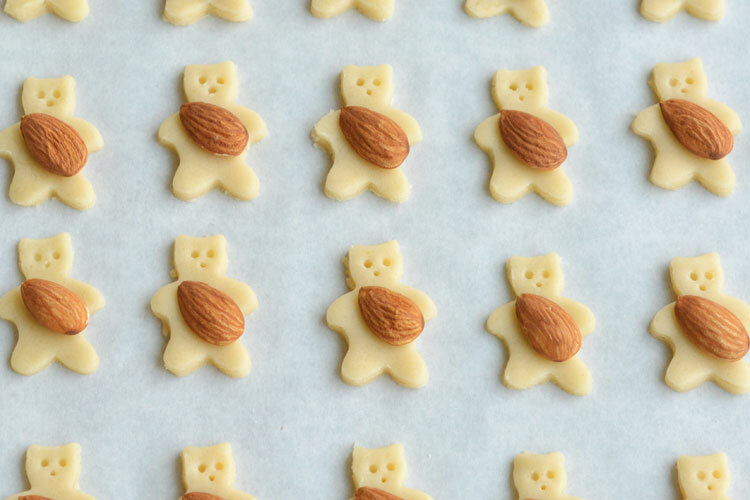 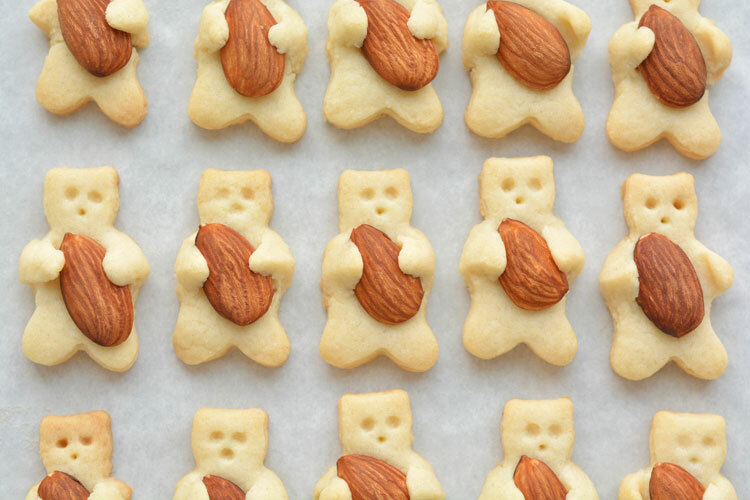 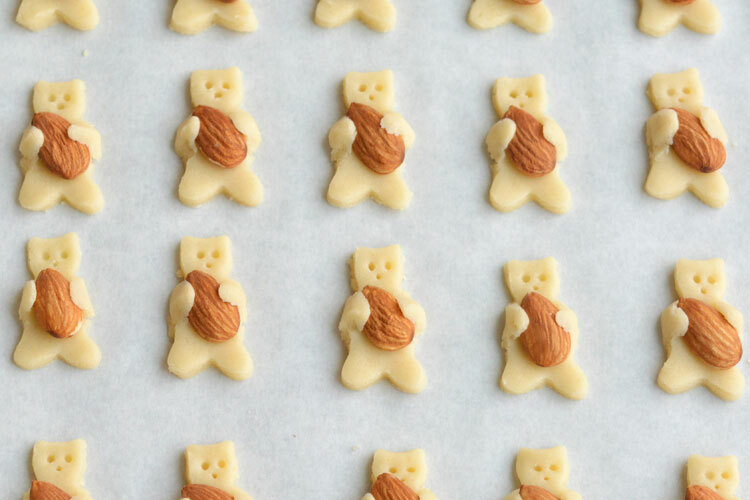 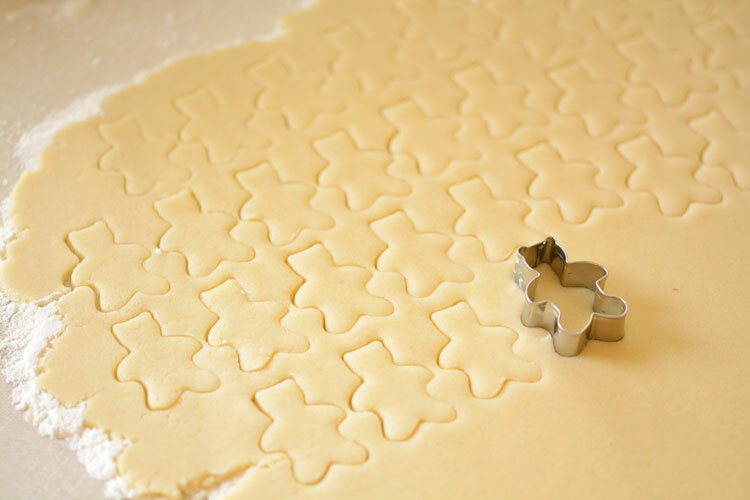 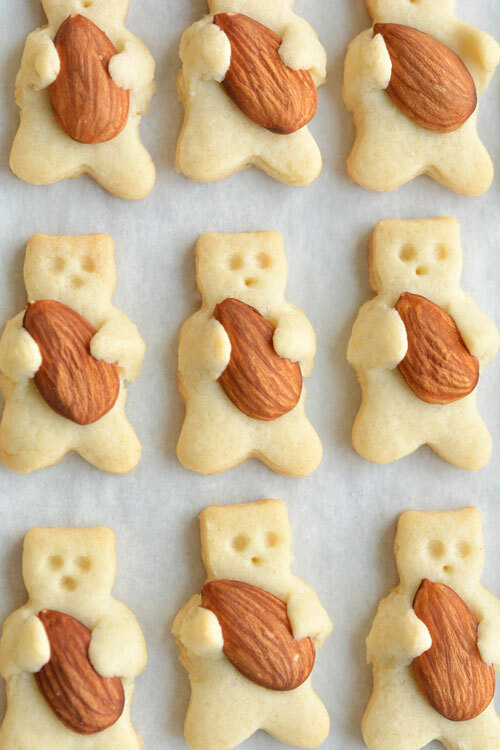 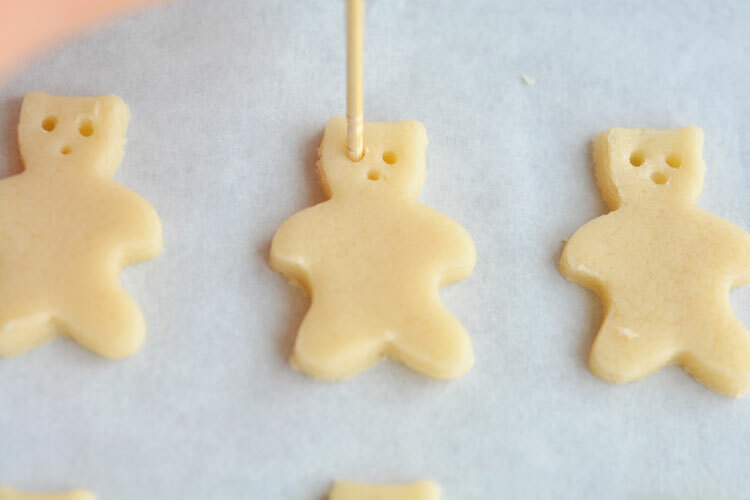 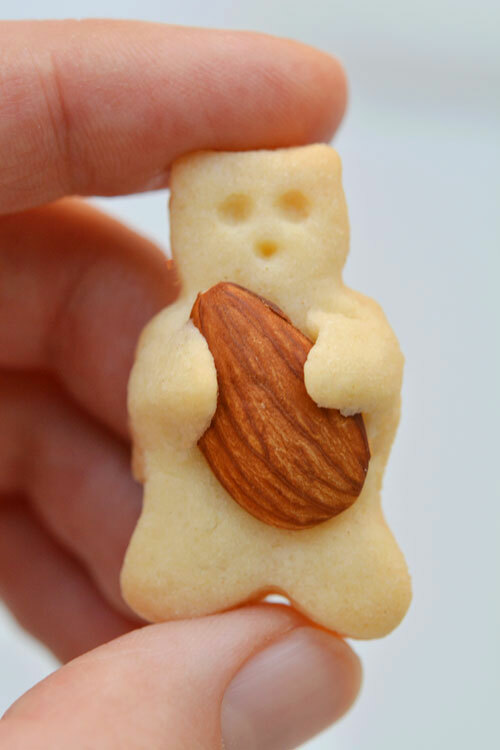 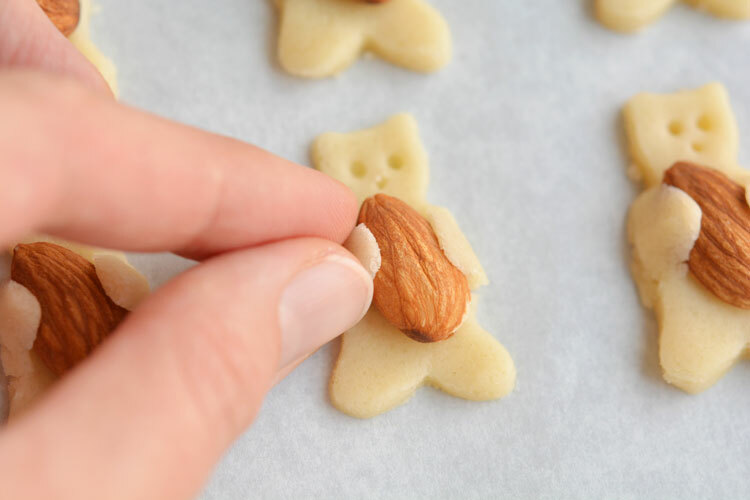 You can use the other half of the dough to make sugar cookies in other shapes (I’d recommend larger cookie cutters after making a bazillion bears…), or you can freeze the rest of the dough for another time. 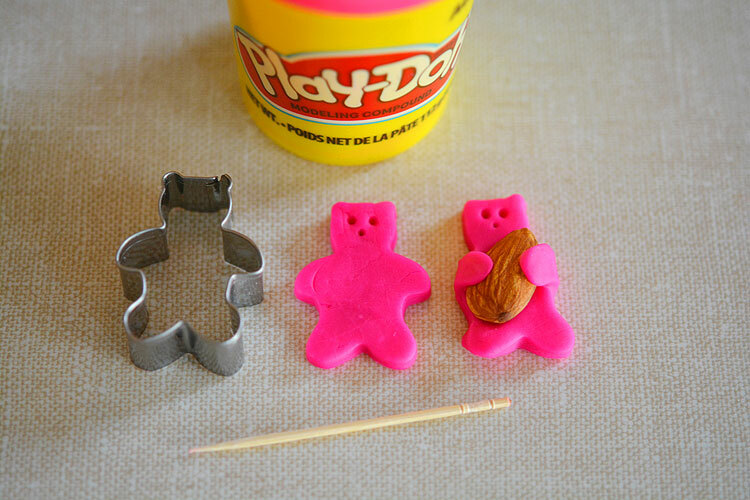 Just let the frozen dough defrost for several hours before you plan to roll it out.